All tracks recorded live at Dallas Brooks Hall, Melbourne, May 31st 1991. Lily was released in a special limited anniversary edition containing the entire Lily disc, along with a bonus disc. The first 5 tracks on the bonus disc were recorded live at the Montreux Jazz Festival, july 1993. The Canadian release of Lily includes the French version of "The day you went away". For sedate, totally relaxing and also easy listening, grab a copy of this second album release from Wendy Mathews ... you won't be disappointed. It's nice to see her achieving success as a solo artist; she is done paying her dues and helping make other artists (The Models, Kirk Lorange and the Rockmelons as examples of past enlistment) sound good. Now it's her turn to be up front, hit the charts and take the kudos. Mathews achieved chart success with her debut album 'Emigre' which give birth to a string of successful singles. But don't expect any "Lets kiss" type numbers on her follow-up production; or you'll be disappointed. No, 'Lily' is less pop and more soul. And it's a formula which I think is more self-satisfying for Mathews than that featured on her debut album. The first single lifted from 'Lily', "The day you went away", is a beautiful and soulful ballad which received plenty of air play and made its mark on the charts, but there are livelier tunes on the 52 minute, 11-track disc, which still exhibit a soul feel. The opening track, "Friday's child" sounds a bit like Faith No More's "Midlife crisis", while "Walk away" and "Mother can't do" are real groovers, as are "Naming names" and the up-tempo "If only I could". For my money, the finest moment on 'Lily' is the track "T.K.O. ", a cool, slow mover with a hook I just could not shake all week. But she really hits the emotional button with the final track "Inexorably yours", which simply drips with sadness and loss. 'Lily' is laid-back and incredibly smooth and professional; an album recommended as perfect for one of those quiet and perhaps azy listening sessions. . . . Both acoustically and physically, Wendy Matthews moves with an enviable minimalism. Her music is an unharried journey of clean melodies, infectious energy and simple grace. Wendy has proven that commitment to beauty is not only valid but applauded by the public ear. She has confirmed that such a commitment is not a symptom of vulnerability but the true path of artistic integrity. Her second album to date, Lily is a culmination of a nomadic musical heritage and a remarkable affinity with interpreting a wide range of musical genres. "I've never wanted to be pigeonholed as a pop singer or a jazz singer," she explains. Soon after making Australia her home, Wendy played with some of this country's finest acts, enjoying a number of award winning collaborations with the likes of Absent Friends and Kate Ceberano. Such successes witnessed Wendy's uncanny ability to choose winning songs and interpret them with an individual polish hitherto unknown in this country. Then (as now) she is adept at reaching both frenetic youth and mature audiences alike, as seen in her remarkable debut solo album Emigre which went double platinum and won Wendy ARIA's for "Best Debut Single". If older ears were captured by her soul and unfused class, a more cynical youth was convinced by her disarming ease of delivery, wooed by a voice of stunning emotive capacity yet void of sentimentality. In short, poignancy minus the schmultz. "With Emigre" she says, "I was determined not to sing songs about love because I thought they were everywhere". In early 1992 Wendy began gathering for what was to be her most personal and complete album - Lily. With myriad accolades from both peers and industry, Wendy concentrated on collecting songs that carried particular significant for her. "I'm not a technically minded person and something either grabs me or it doesn't. Some of these songs I'd been singing in my head for years. To me there was no prerequisite for songs on Lily, except that they had to touch me in some way." "This album, overall, has vulnerability . . . (it is) really heart on your sleeve stuff." But quite aside from its emotional depth, Lily is a testament to Wendy's elusive charm. From the soul of TKO" to the elegance of "Quiet Art Of Standing Still" and the pop trimmings of "Mother Can't Do", Wendy revels in an arresting musical dexterity. Her recording of "The Day You Went Away" with Booker T (of MG's fame) on piano backing is possibly the most outstanding example of Wendy's unequalled voice. Less than two months after Lily's release, Wendy embarked on a daunting program, touring around Australia with Simply Red as well as performing her own headlining shows. After the Christmas release of "Friday's Child" as the album's second single, it was off to Europe where she toured extensively performing stylish acoustic showcases and recording a French language version of "The Day You Went Away". By April Wendy was back in Australia in time for the release of Lily's third single, "If Only I Could". Industry vindication of her extraordinary talent soon came with the ARIA awards where "The Day You Went Away" won 'Highest Selling Single, and 'Best Australian Single', and Wendy 'Best Female Artist'. Three weeks later she set out on the exhaustive Tour de Lily, kicking off with a prestigious show at the Sydney Opera House on April 30. This was to become the most successful tour by an Australian artist in 1993. Wendy then returned to Europe via Asia, where she recorded a performance for MTV Asia in Taiwan. Rolling on to Europe, Wendy appeared in Switzerland at the Montreaux Jazz Festival on July 16, where she performed alongside such luminaries as Robert Plant, Herbie Hancock, Quincy Jones, Al Jarreau, Chaka Khan and Chris Isaak. In commemoration of Lily's first year in the charts, rooArt has released this extraordinary album. It includes the typically elegant French version of "The Day You Went Away" and five tracks taken from the Montreaux festival where Wendy captured the audience with a two man acoustic backing and the breathtaking resonance of her solitary vocals. Lily is a record of indefinable quality, of genuine passion and a binding essence of style that posits Wendy well and truly in a realm of her own. As Peter Garrett remarked after a showcase gig for Atlantic Records in New York, "Wendy's voice is to the vocal chords what the Daintree is to the wilderness." Though rare, Wendy Matthews is fortunately not yet endangered. Wendy's gospel-soul infused third album. Contains the APRA Award single "Standing strong", a version of Elvis' "If I can dream" and an acapella version of "The Quiet joys of brotherhood". This collection of appealing and pleasant songs will delight most listeners. The mind is lulled into relaxation, as melodies drift tunefully in the background. The album relies on beguilling female vocals. The softly flowing, alabaster singing takes the chillout of a cold winter's night. The accompanying musicians combine to form simple rhythms and popular sounds without transgressing any boundaries or breaking new ground. Matthews has co-written nine of the songs with Glenn Skinner, exploring themes of belonging, identity, childhood memories, courage and love. "Mountains" is a perfect finale to the album. It's a strong, eloquent and philosophical piece written by Deborah Conway. Matthews takes the song, musically fulfilling its potential. This album contains a few tracks that wil stay with you and brighten your day. "Then I walked away" is a definite highlight, delving, into the dramas of relationships and providing an uplifting chorus with a sentiment that can be appreciated. Wendy Matthews has lost the plot. After a blindingly good start (her 1990 CD Emigre scored hits with both "Token angels" and "Woman's gotta have it") which established her among Australia's foremost singers, she has faltered and finally succumbed to a strange mixture of pretentiousness (the lyric sheet includes quotes from J.R.R. Tolkien, George Eliot, Virginia Woolf,Charles Dickens and Edith Wharton) and nondescript, middle-of-he-road blandness. 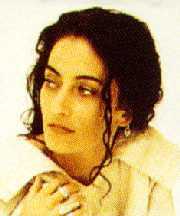 The problem for Matthews, as far as it can be worked out, is that while she has a distinctive and interesting voice, she has failed to establish a unique lyrical-musical identity. The success of Emigre was based on the talents of other songwriters. This has meant that she is only as good as the songs she choose. So, while her voice is still a potent and fascinating instrument, the material she applies it to is increasingly bland and colourless. The result is a collection of songs (13 tracks on this CD) which are perfectly acceptable in a rather forgetting way but which lack character individuality or potency. Stepping Stones features 16 of Wendy's best known songs including and two new songs "These streets" and the current single "I've got to have you". "All I knew is that I wanted to sing. It was just something that made me feel good. I always loved singing and wanted it to be part of my life but in what capacity I wasn't quite sure. I never had a burning desire to be a so-called 'star'. It was just something I had a growing need to do." I'll not soon forget the shiver that passed through me almost a year ago as I crossed the floor of a Sydney venue during an afternoon soundcheck. Wnedy Matthews had slipped on the stage and had begun working her way through a shimmering ballad. I stopped dead and drank it in; catching the eyes of others - stage crew, fellow artists, media - also knocked a little off their centre of balance by the strength, intensity and depth of her voice. With her powerful songs that speak directly to the soul, her dignity and poise, and her quietly tenacious sense of purpose, Wendy has effectively given Australian music a new dimension, a new maturity and as the Sydney Morning Herald once put it, "real class, which, remarkably, seems to be matched by success." 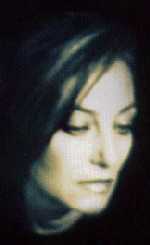 Wendy Matthews came at her headlining career almos obliquely. Perhaps as a result of this, she has been able to wiring commercial success out of an absolute artistic stance, with each release a distinct, evolving expression. "Each album is what I want and need to do at the time," she had siad. "I make my music for me, in a sense. Bsically I think I'd get really lost and lose something very important, something that's almost intangible, if I were to start choosing songs for a specific 'demographic'. I think its still really important to do it the way you want and the way you hear it because hopefully that's what they liked about you in the first place." Her debut album, Emigré, which, with a compelling aura of the detachment and longing that arises from a geographical and emotional journey such as hers, touched a nerve, selling over 100,000 copies. "I wanted it to be very atmospheric, not just one song after another. I had been offered the chance to do albums over the years but it hadn't been right." So what we are dealing with here is a true body of work. Not a collection of hits cobbled together before a fad fades. Wendy Matthews is a unique creative entity, with a quality that has essentially eluded female performers in this country - the capacity to capture and entrance a large audience, who remain loyal album after album after album, one decade into another. We first heard her in 1998, when a duet, You've Always Got The Blues, from the ABC TV series Stringer, made a modest impact on the national charts. Two years later her achingly pure voice shone out of the unexpected top five hit by informal all-star ensemble Absent Friends, I Don't Want To Be With Nobody But You. 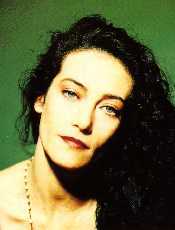 But it was not until late in 19990 that the radio back-announced were solely for Wendy Matthews. Roger Mason of the Models penned an arresting song for her, former Beach Boys/Monitors member Ricky Fataar produced it, Tim Finn sang backing vocals, and the timeless Token Angels was in the top twenty, with Wendy walking away with two ARIAs soon after (Best Debut Single and Best Female Artist - the first of seven). Born in Montreal, Canada of Spanish / Scottish ancestry, into a musical family environment including a Scottish grandfather who played the harmonica and taught her heritage songs, she grew up "learning to sing from listening to records - big dramatic voices like Patsy Cline, Odetta, Billie Holiday, and Aretha Franklin." At 15 she was a member of the Little Benny Blues Band, lying about her age to play in Montreal clubs. The following year she left home to go busking across Canada, the United States and Mexico and really never went back. Life enveloped her. "There's such a place of power when you're young", she has observed of her childhood. "My mother was always a big believer in treating someone like they've got responsibilities, letting them make decisions. I knew what I wanted, I wasn't aware there was something to lose." In Los Angeles, she tumbled inti a circle of friends, which saw her roller-skate with Jack Nicholson and sing backing and guide vocals for Cher, Bryan Ferry, Donna Summer and the Alpha Band. Then, whilst hanging out with a bunch of genial Aussies, she met departed Little River Band leader Glenn Shorrock, who invited her down under to sing with him on a 1983 solo tour. Liking what she saw and whom she met, Wendy readily found vocal work in Sydney on commercials and album sessions, enhancing performances by a plethora of major Australian acts. But life changed considerably after the impact of the internaionally released Emigré. Wendy was lost to the world of paid sessions and backing vocal tour stints, with no small regret in some parts. To models saxophonist James Valentine, who later played on her albums, "She is a superb musician with an innate musical ability who akways knows what's needed. She automatically harmonises and has perfect pitch.... she evokes that pure emotional respons, which is rare." Her second album, 1992's triple-platinum Lily, achieved what no other album by an Australian woman had ever been able to; not just in terms of sales and airplay but in its link to the hundreds of thousands who bought it and let it become a part of them. "I went back to Canada for quite a while before I made the album" she has explained, "and my mother and I spent time discovering our heritage." Armed with her own criteria of finding "songs that touch the heart and move the spirit", she worked with American producer T-Bone Burnett (an old mate from the Alpha Band, who had, in the interim, cut a few albums of his own, toured in Bob Dylan's band and produced albums for the likes of Elvis Costello, Los Lobos and Roy Orbison), who declared the he wanted to "make a good, close, intimate album that would focus on Wendy's incredible voice." Released around the world on Atlantic, it increased the size of her loyal pockets of devotees. Instinct played a large part in Lily's creation and certainly in the uncovering of its key track, which was graced by the participation of keyboards master, Booker T. Wendy recalls, "'The Day You Went Away', when I first heard it by Soul Family Sensation, was very dancey and up, boppy and happy. You could hardly hear the words; it could have been about anything. To learn the song I slowed it right down to just the basic chords and that brought out the beautiful melody. Booker lent a very strong style to it. He put so much space between the notes that the melody took on a whole new life. He didn't read any music; he just played it to my vocal. I asked him, 'How did you do that?' and he said, 'I've got no idea!'". With the massive success of both album and the single (two ARIAs for it alone) came further hits (such as the top ten Friday's Child), intensive press coverage, international touring, and a concert at Sydney Opera House. Conventional record industry logic would no doubt have dictated that Lily be followed by more of the same but, again, Wendy's instincts shaped her creative energies. The Witness Tree album, recorded in San Fransisco and produced by Booker T., included songs penned with and by Tim Finn and Don Walker. It came about as Wendy found that her interests and motivations "have a connection to the things that I'm feeling are very important as I get older, which are family, the seasons and our connections to the earth. The tree is an ancient synbol that pervades most cultures; North America Indians have the Witness Tree. As a child my mother told me that the beautiful upright pines in our area were Holy People who had come back as trees to stand in witness for hundreds of years."